Last week, the 24-year-old ended up in hospital after stopped drinking water to intensify his protest. Hardik Patel, who launched his indefinite fast on August 25, had said he was firm on his demands. Patidar leader Hardik Patel, who was on an indefinite hunger strike demanding reservation for Patidars and loan waiver from farmers, broke his fast after 19 days today, saying he would not play into the hands of those who want to kill him. Mr Patel was holding out for a response from the government on his demands. Last week, the 24-year-old ended up in hospital after stopped drinking water to intensify his protest. Mr Patel said he broke his fast at 3 pm today on the insistence of his supporters, although the Centre has adamantly refused to give in to his demands. In a tweet today, he said, "I can die for those who love me, who want to keep me alive. But my friends, I would not oblige those who want to kill me by dying." 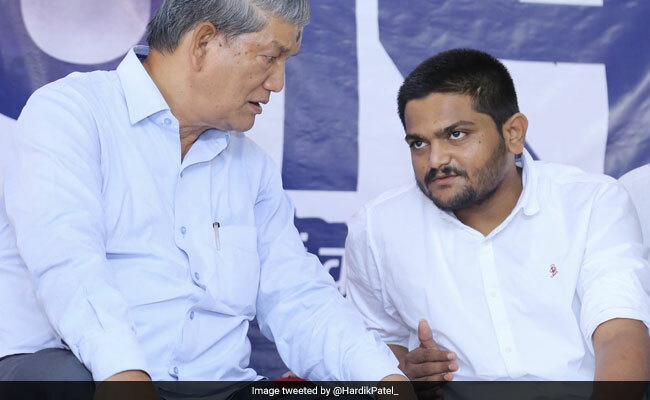 The 24-year-old - who launched his indefinite fast on August 25 -- said he was firm on his demands, which includes a one-time farm loan waiver, quota for the Patel community in jobs and education, and the release of PAAS member Alpesh Kathiriya, who has been arrested on the charge of sedition. A number of politicians, including Loktantrik Janata Dal leader Sharad Yadav and former Union minister A Raja, had visited Mr Patel during the course of his agitation. On September 4, the state government claimed Hardik Patel's quota movement was a "politically-motivated" agitation with the backing of the Congress. Later, state minister Saurabh Patel said the government's door were open for talks, but no negotiations were held.